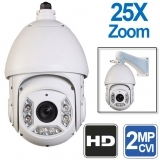 HDCVI cameras are the latest high definition cameras in the CCTV industry that support resolutions up to 2 Megapixels. The most important reason you should consider HDCVI cameras as part of your system is that they work over existing RG59 coax cable. 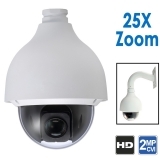 If you already have good quality coax cable, i.e the kind that you get in a spool or roll of cable, then you can save yourself a lot headache and expense when upgrading your CCTV camera system to high definition instead of going with IP. We prefer HDCVI over HS-SDI, the other type of camera technology that allows for megapixel video over coax. 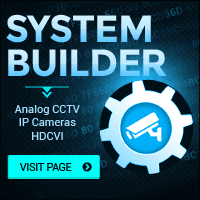 HDCVI has proven to be reliable and free of the hassles of networking cameras which is a common complaint with IP cameras, and free of signal and camera issues which is a common problem with HD-SDI cameras. 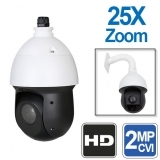 In the next year, we foresee HDCVI cameras gaining a larger market share of the megapixel CCTV camera market as they are low in cost, free of weird camera problems, and come in so many varieties like analog.